We have been serving El Paso since 1989, and are a local, family owned business. The owner, Victor Tarin has been in the printing field for 33 years. 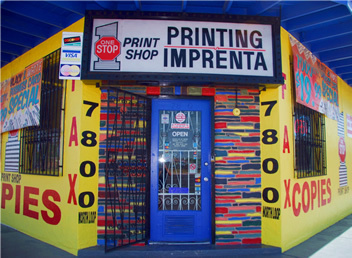 Here at our printing shop we specialize in full color and black and white prints on any kind of paper. We use high quality inks and high grade paper to ensure our customers get the best printing results possible. We are a member of the Better Business Bureau and strive for custom service, economic printing options, and are bilingual so come in and see what we can do for you.